Description: Looking to strategically advance your business with innovative ideas and partnerships? 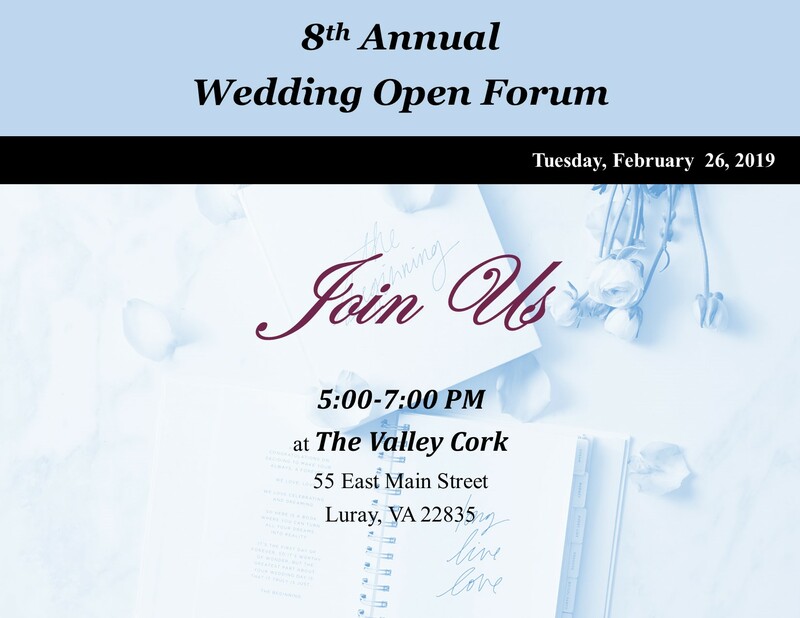 This forum will bring together the best wedding professionals in and around Page County. 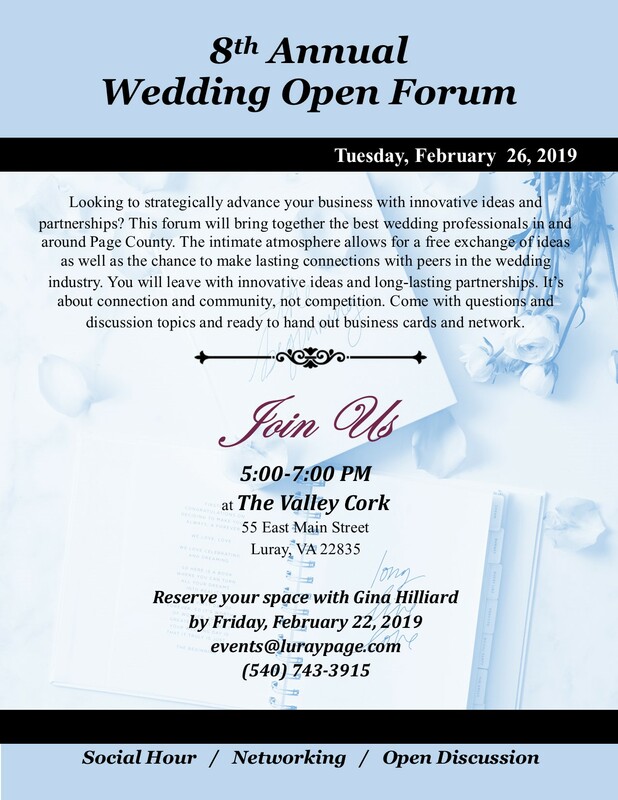 The intimate atmosphere allows for a free exchange of ideas as well as the chance to make lasting connections with peers in the wedding industry. You will leave with innovative ideas and long-lasting partnerships. It’s about connection and community, not competition. Come with questions and discussion topics and ready to hand out business cards and network.